Get ready for ELVIS rocking’ the beach! Elvis Remembered with Shane Tucker will perform at Bands on the Beach from 7-9 p.m. on Tuesday, June 11th at the Gulfside Pavilion. Shane and the Promised Land Band take pride in recreating the energy, excitement, and charisma of a live Elvis show. Their show is presented with the utmost respect for the memory of Elvis while ensuring that the crowd is entertained and involved in the show. 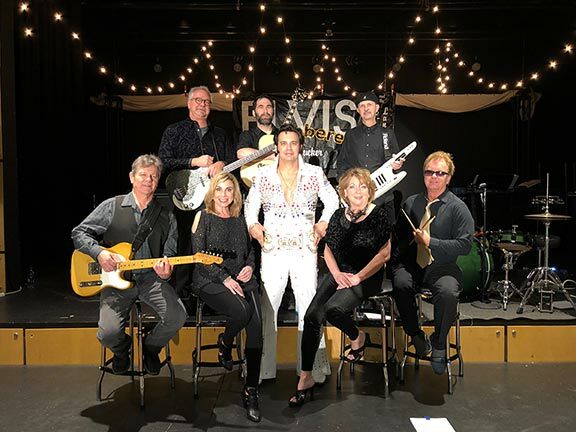 When presenting Elvis Remembered, Shane and the band aim to recreate memories of “The King of Rock and Roll” for Elvis fans and to create new fans for those who were born after his passing.